Part of the store’s woes have come from an inability to specify the stock they want, Greening said, and to ensure that it has the higher THC levels her customers are looking for. “Right now I have over $20,000 worth of stock sitting in the vault that I cannot sell because my customers do not want it,” Greening said. The reason for that excess stock stems from what it is, she said—cannabis with a lower THC level, something that the majority of her customers are not interested in purchasing, especially when the price point is the same as for a higher-THC product. Greening said that some of the store’s problems come from the lack of information given to retailers when they order stock via the Newfoundland and Labrador Liquor Corporation, which oversees cannabis licensing in the province. 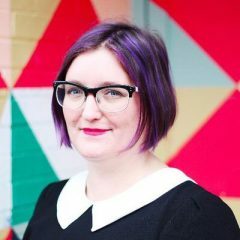 The NLC did not respond to requests for comment from Leafly by press time but told CBC earlier in this week that they did not act as a go-between for retailers and producers. “We never know what’s coming,” Greening said. 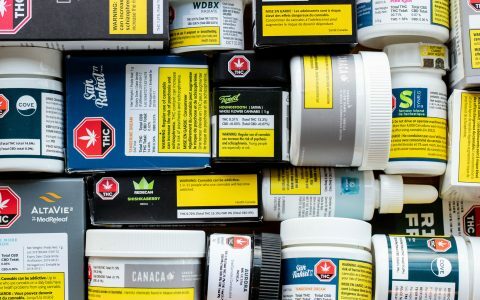 At the purchase point for suppliers, Greening explains, she can specify the type of product—for example, Plain Packaging cannabis flower—and see an estimated THC range before placing orders and making payment. But, her choices have been at the mercy of product availability and limited further still by the store’s stock allocation from each producer. All she knows before receiving inventory is the product brand and the size of containers. There have been times when she ordered what was indicated on the supplier side as a higher-THC product and received a lower-THC product to fill the order, she said. The problem is compounded by the fact that suppliers will not allow her, or other retailers, to return unwanted product for a refund or a credit. With about $6 million worth of cannabis sold in the six first weeks of legalization, sales have been higher in the province than he personally expected, said Colin Holloway, the MLA for Terra Nova, which includes Clarenville. Holloway, who said that he has been in contact with Greening, pointed out that there have been supply issues not just in NL but nationwide since cannabis was legalized. In addition to providing a lack of information at the distribution level, Greening said that some of the government-approved producers are giving preferential treatment to licensed cannabis retailers operated by larger companies. In Clarenville, a town of about 6,200 people located about two hours from St. John’s, two retailers were licensed to sell cannabis: Puff Puff Pass and a location owned by Cape d’Or Holdings located in an Esso gas station. She has twice not received higher-THC product only to be told it went to the Esso retailer, Greening said. She questioned her contact at one supplier about it and he was blunt, she said. The NLC’s interim CEO told CBC News that contracts for cannabis suppliers stipulate that they must service all licensed retailers. One of the Puff Puff Pass employees has gone to the Esso location and seen high-THC and higher-end products that she has not been able to receive in stock, she said. 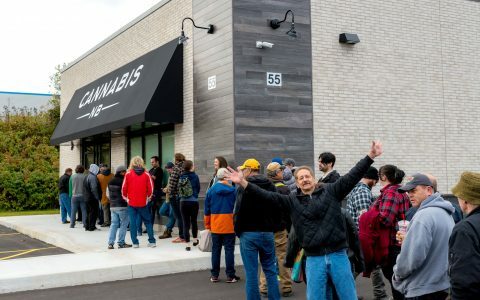 The situation is particularly frustrating as an independent retailer, she said, because cannabis is the store’s only source of revenue where the larger branches have other revenue streams. “If we don’t have any stock, we have no income coming in,” Greening said. There are other concerns with the legal cannabis industry in Newfoundland and Labrador, Greening said. Since legalization, the province has approved only seven producers to supply cannabis to legal retailers. Approving more producers to sell in the province would both increase the potential supply and create more competition between producers, she said. 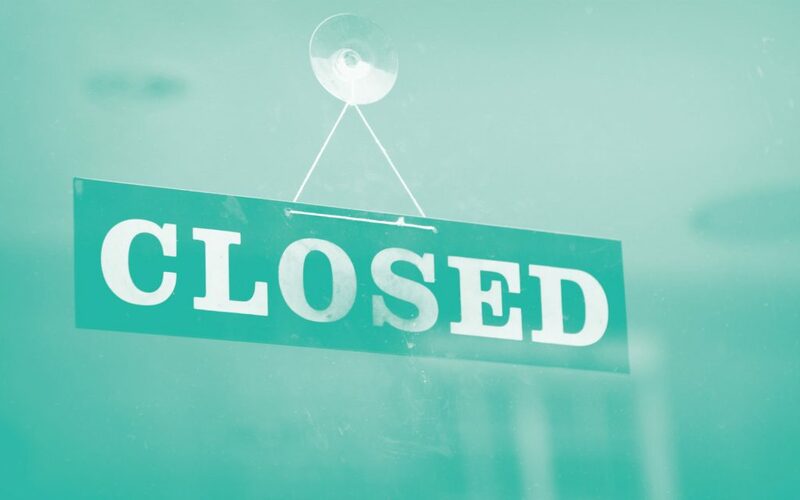 Only six independently owned retailers were licensed to sell cannabis, Greening said, and they are competing not only with stores owned by Loblaw, Cape d’Or, and Canopy Growth but with the province’s own cannabis retail website, run by the NLC. Puff Puff Pass applied to be a tier-one licensed retailer so they would be allowed to provide education to their customers, Greening said, but that designation means they have not been able to sell other products—for example, snack foods—with a higher profit margin than the 8-per-cent commission the NL government allows on cannabis sales. That commission is set by the NLC, Holloway said. The business, which previously was a licensed bar, also had to give up the video lotto terminals in order to switch over to cannabis sales, giving up a significant revenue source. Meanwhile, Greening said, as a tier-five retailer the Esso station can also sell lottery tickets, food, and other products in addition to cannabis. “If we were able to keep and retain these lotto machines we wouldn’t be having this conversation,” she said. Other licensed retailers in the province have expressed support for Greening. THC Distribution in Portugal Cove, near St. John’s, posted online calling for a larger commission for private retailers. The Reef posted on Facebook expressing sympathy for Puff Puff Pass’ upcoming closure and saying that they have faced many of the same issues. Legalized cannabis is new not just in this province but across the country, Holloway said, and government is watching to see how things are going and how they could be done differently down the road. Greening said she hopes Puff Puff Pass’ experience might change things for licensed cannabis retail in the province, even if her own store has to close.